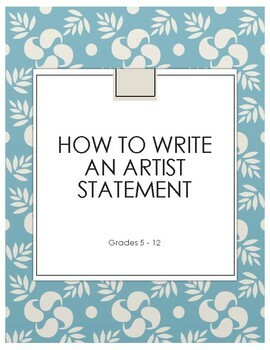 This How to Write an Artist Statement collection helps students structure their artist statement so they can clearly and effectively write about their artwork. 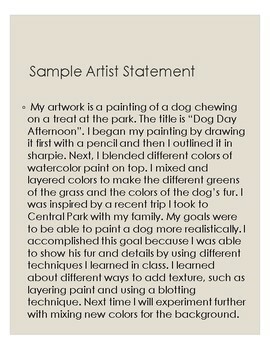 This tool can be used to display alongside artwork, as an assessment tool, or during a class critique. 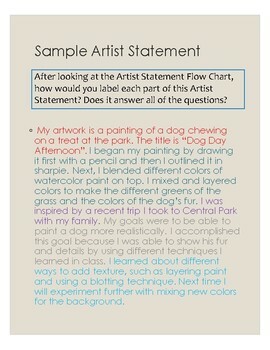 You can use this presentation as a lesson outline with examples for the students, leave it as a clear plan for a substitute when students have completed their artwork or print individual pages as handouts for students. 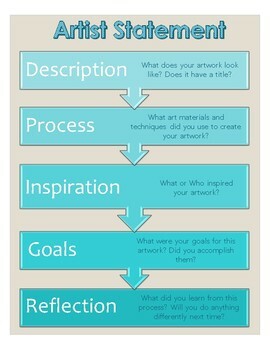 Artist Statement Flow Chart - simple format that is clear for the students to work through on their own. Would be great to hang in the Art Room!